On Monday 17 July 2017 we met up at Priory Hall for an inspiring talk from Jill Rose Brennan. 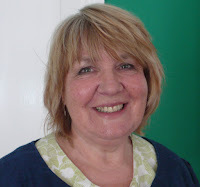 Jill Rose started sewing at an early age, during summer holidays spent with her grandparents. Later she went to Goldsmiths College where her interests were in dress design and painting, leaving with a teaching degree. 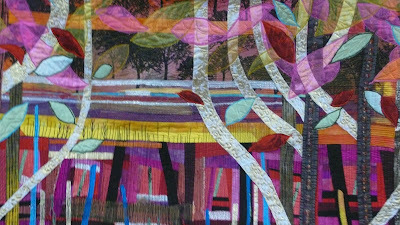 In 1989 she moved to Southampton and discovered quilting, which incorporated her love of drawing, painting and sewing. She joined Joan York's New Forest Quilt Group and had a wonderful time developing her skills. 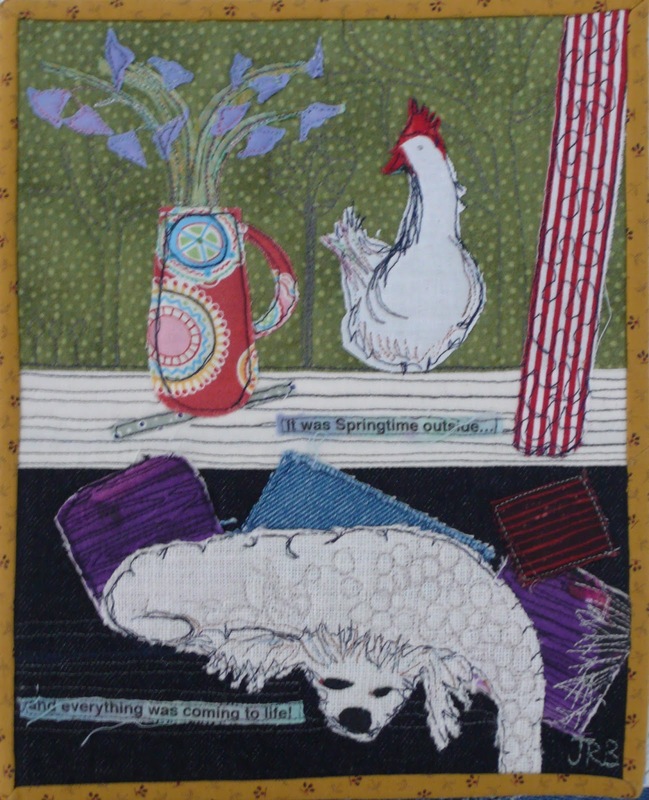 Jill Rose's studio is based in The Sorting Office in Eastleigh but also runs workshops at the National Needlework Archive, in Newbury. 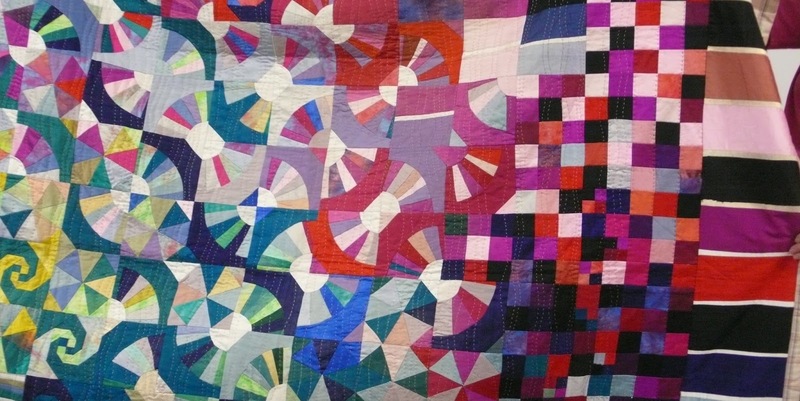 She explained how she has developed her own work and her sewing techniques, including appliqué and machine and hand quilting. 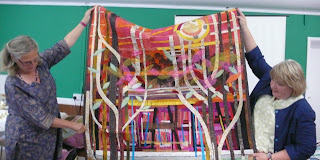 She told us that when working on large quilts she uses a wooden frame, with the fabric anchored in position. The sewing machine, on rollers, is moved over the fabric, rather than the other way round. 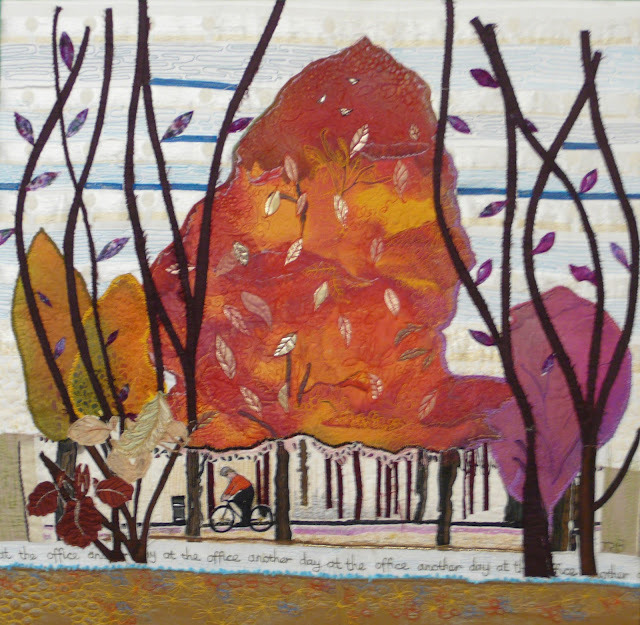 As well as using a kaleidoscope of quilting methods, Jill Rose also dyes and monoprints onto fabric to enhance her designs. 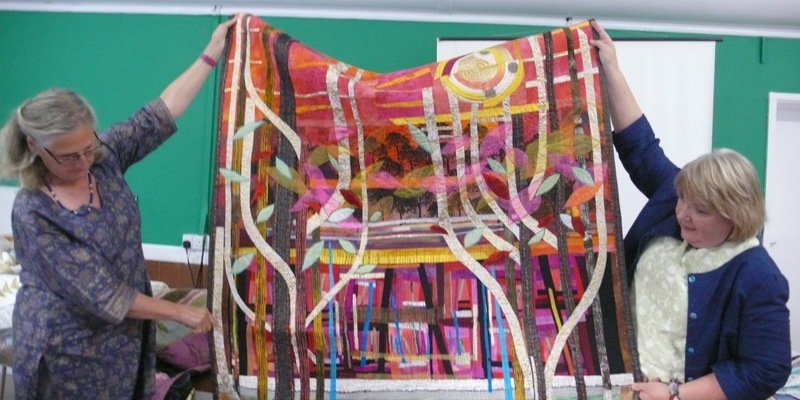 nationally recognised and she won the Art Quilt trophy and Machine Appliqué Award at the National Quilt Championships for her quilt called 'The last Rays of Glorious Sunlight Before The Rest That Night time Brings'. Jill Rose brought lots of examples of her work to show us and we were all amazed at her use of colour and the intricacies of her designs. Many thanks Jill Rose, for coming to talk to us. It was a very inspiring and enjoyable evening.